The Hyde Park Transitional Housing Project (HPTHP) provides housing and a stable, supportive environment for up to two years for homeless families who are working on improving or developing the skills necessary to live independently. HPTHP partners with local congregations and organizations which provide volunteer mentors and essential financial support. The strength of HPTHP is the positive relationship which develops between mentors and the families they are supporting. 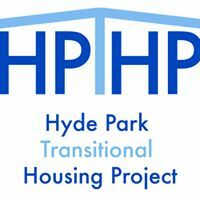 Are you familiar with Hyde Park Transitional Housing Project? Help FreeRehabCenters.org users find out answers.